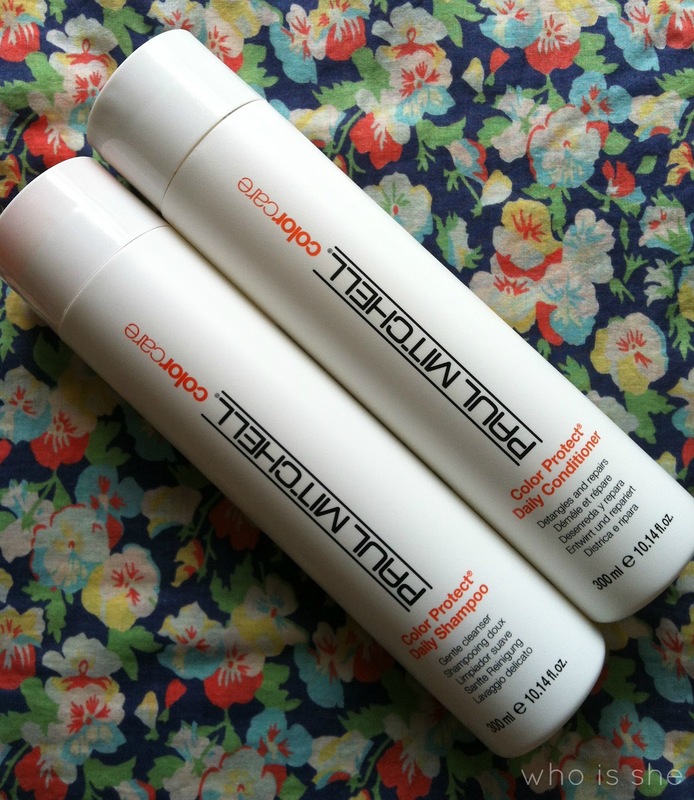 Paul Mitchell is a brand I have always instantly thought of as being one of the best high end salon ranges- there is something about this brand which screams out "quality". Now and again I have dabbled into using products from his range- normally whatever my Mam has been using, however for the last few weeks I have been using their Daily Shampoo and Conditioner from their Color Care range. Obviously my hair colour is out of a bottle (well two) and I'm always on the look out for hair care which prolongs the colour in my hair. Now as always I need to mention that my red is a build up of about 18 months of various shades of red, so I don't loose my colour/fades as fast. I'm going to do an updated haircare posts soon and these will definately be featured- however I alternate these with my Boots Botanics Red Shampoo/Conditioner and this combination works really well on my hair. The shampoo/conditioner come in huge 300 ml bottles, which for me will last for ages and ages. Normally I use a generous amount of shampoo and a 10p size of conditioner, and then on my hair extensions I use less. After the first wash my hair was so silky and shiny and felt healthy- then the same happened on the second wash (could it be too good to be true), and then again on the third wash. The products aren't heavily scented and for me that is a big bonus as I don't like my hair being over powered by product scent. Its hard to describe what the shampoo/conditioner smell of, as I would describe it as a hairdresser scent- if that makes sense. As always when testing shampoos/conditoners I always try them out on my hair extensions, and the products didn't fail to impress- I would go as far as saying they looked in better condition than after they were dyed. The products retail for £8.29 for the shampoo and £10.16 for the conditioner from HairTrade . Now considering this is high end product the price is brilliant value and I definately be repurchasing once I've ran out.